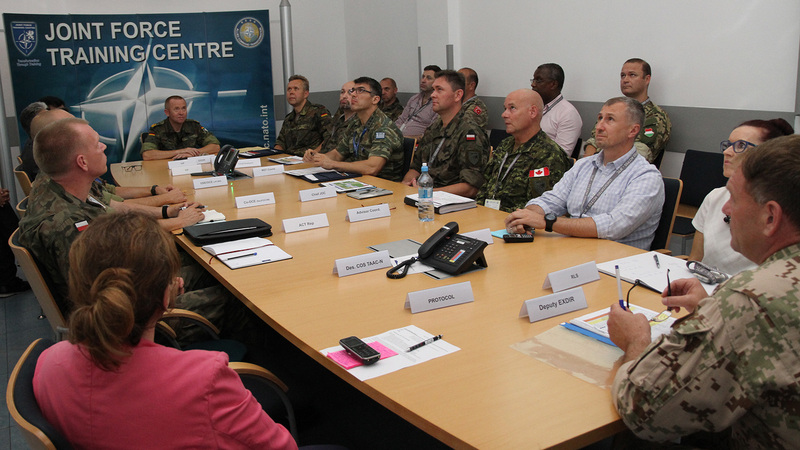 The third 2018 iteration of pre-deployment training for the NATO Resolute Support mission is gaining its momentum at the Joint Force Training Centre (JFTC). Close to 500 people are now working hand in hand for the success of the allied efforts in Afghanistan. Half of them will soon deploy to train, advise and assist their Afghan counterparts. All the others arrived to support the training and to provide the trainees with the highest quality preparation before the mission. The event started on 17 July. 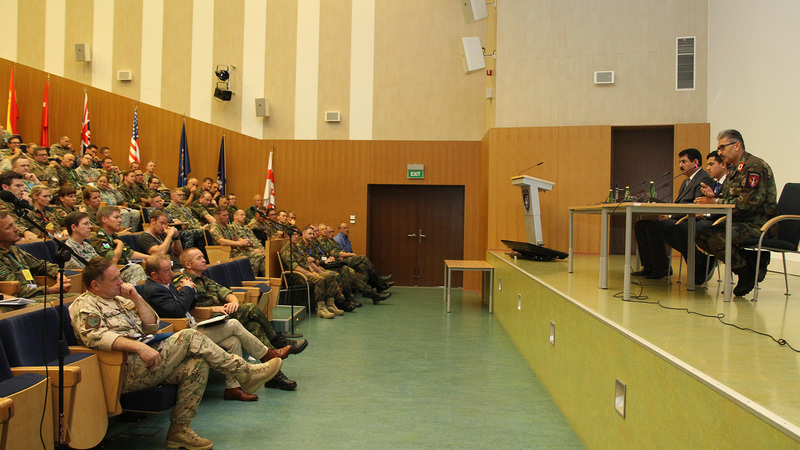 “We make a difference in Afghanistan.” – said Major General Wilhelm Grün, the JFTC Commander addressing the training audience during the exercise. The General, who is directing the training event, highlighted positive changes Afghanistan had gone through within the past 12 years. “There is no comparison between today’s Afghanistan and the one we remember from the beginning of the NATO mission”. 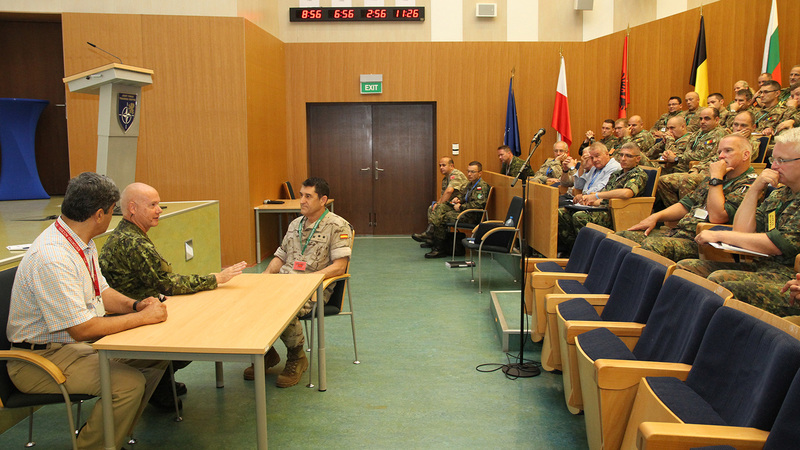 He also assured the trainees that the training tailored for them at JFTC would prepare them in the best possible way to fully contribute to the mission from the very first day of their deployment. Again, the JFTC flagship training event gathered future staff members of the Resolute Support Headquarters (RS HQ) in Kabul and Train Advise Assist Command-North (TAAC-N) in Mazar-e Sharif as well as advisors to be deployed to various regions and institutions of Afghanistan. 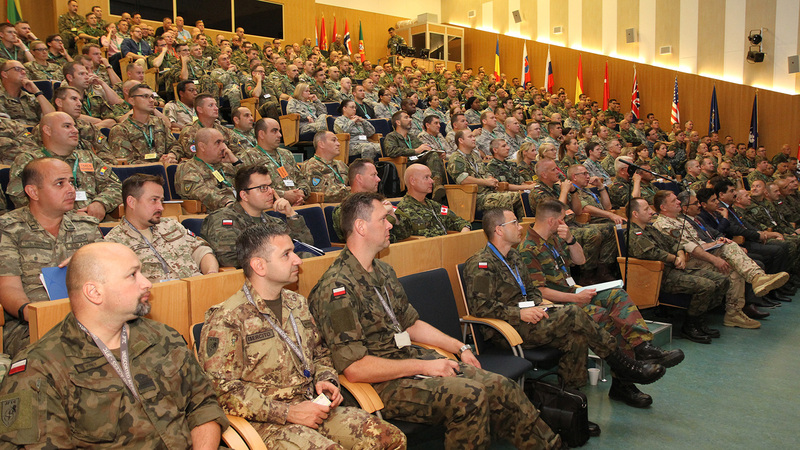 During the first, academic part of the event, the trainees receive important information and recent updates on the operational environment - current issues and plans, core processes, cultural, political and social aspects of the mission. 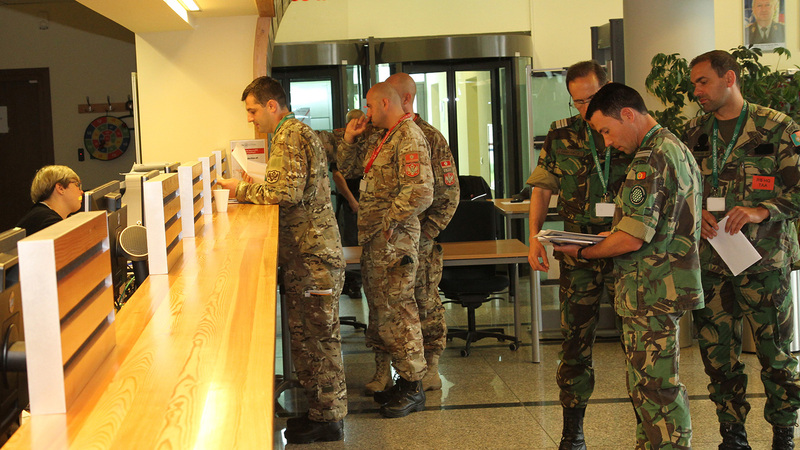 From the very beginning of the exercise, the participants have been supported by highly qualified specialists and experts, including representatives of operational commands and leaders of the Resolute Support mission. “Our goal in Afghanistan is to create the conditions for the government of Afghanistan so it can execute its own security in a sustainable manner, respecting human rights, in accordance with the rule of law and gender equality. 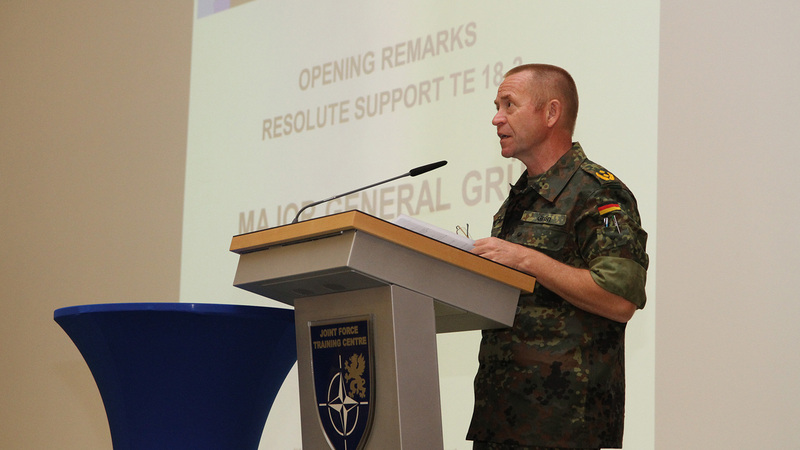 The final goal is to ensure that Afghanistan can never become a safe haven for terrorist groups again” – highlighted General Riccardo Marchió, the Commander of the Allied Joint Force Command Brunssum, who scheduled the exercise. 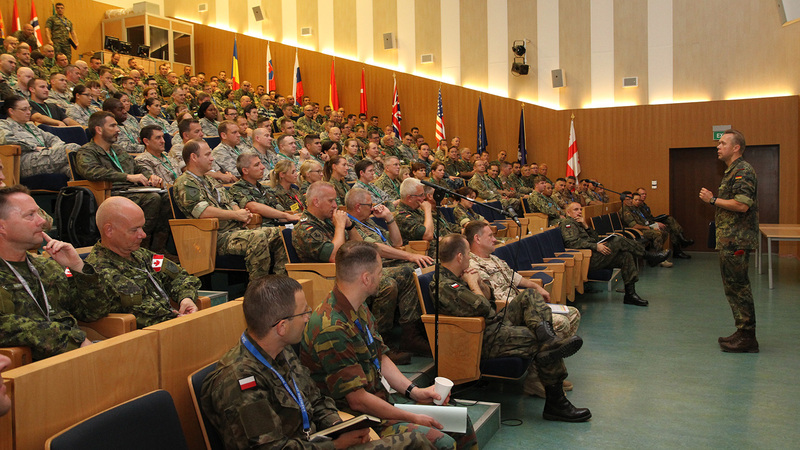 In a recorded message to the training audience, he provided a summary of the mission and the Alliance’s role in Afghanistan. “You have to focus on pushing your Afghan counterparts to find Afghan solutions to Afghan problems” – General Marchió encouraged advisors concluding his message. 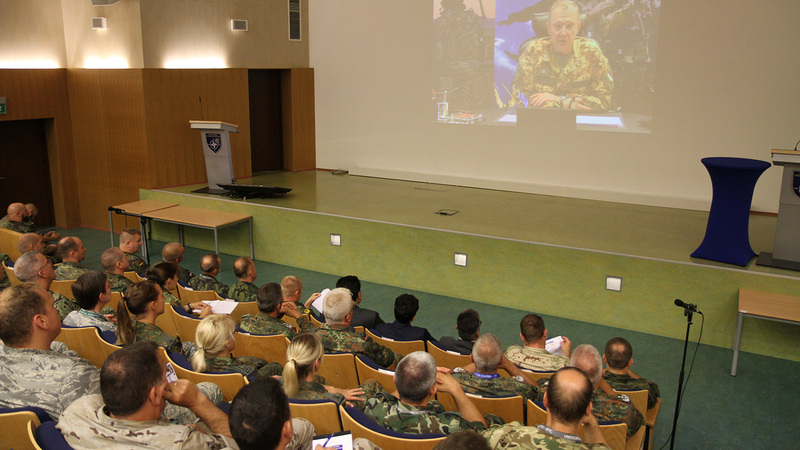 During the first days of the exercise, the trainees also had a chance to learn from the experience of Lieutenant General Alfons Mais, the Resolute Support mission Chief of Staff, and Brigadier General Wolf-Jürgen Stahl, the TAAC-N Commander, who addressed the audience via video teleconference directly from Afghanistan. 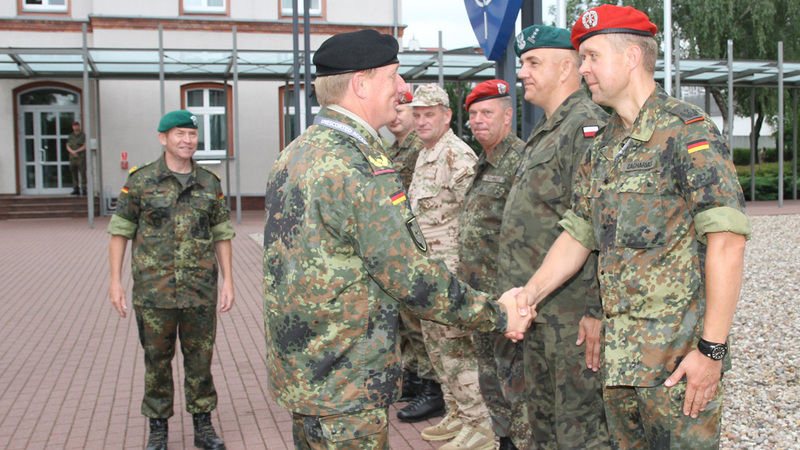 Additionally, Major General Matthew Holmes, the Deputy Advisor to the Afghan Ministry of Interior Affairs, and Brigadier General Jürgen-Joachim von Sandrart, the Commander of the 1st German Armoured Division, met with the training participants in Bydgoszcz to share their mission-related thoughts and experience. The value of the training was significantly enhanced also by lectures delivered by Lieutenant General Janan Barakzai, the First Deputy Minister of Afghan Ministry of Interior Affairs, and Brigadier General Mir Assadollah Kohistani, the Chief of Staff of the 201st Afghan Corps. 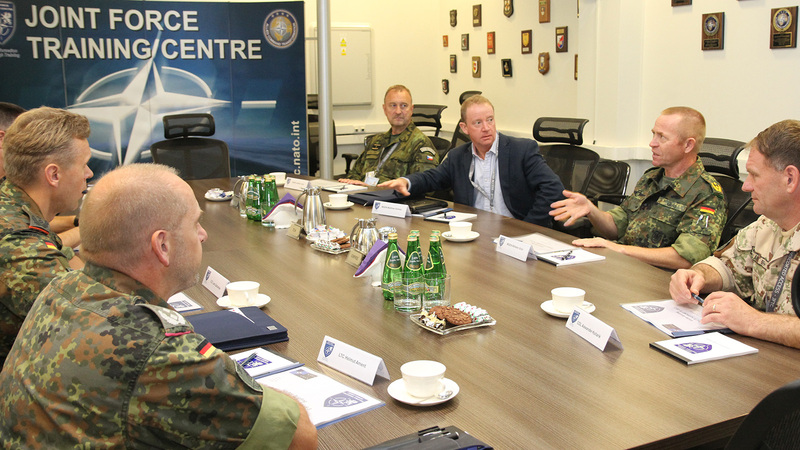 Generals arrived at JFTC to provide the trainees with Afghan National Defence Security Forces’ perspective on the current situation in Afghanistan as well as with up-to-date information on plans and principles for the months to come. They also underlined their gratitude for the allied efforts in Afghanistan. “I would like to express my appreciation to the Resolute Support mission and to the whole Alliance for your support to Afghanistan” – said General Barakzai. General Kohistani added: “The people of Afghanistan will never forget your sacrifices”. Additionally, both generals took part in a very vivid panel discussion, where they answered questions asked by trainees. The academic phase of the exercise, that also covers depths of the advisors’ work, electronic working practice, basic language training, security topics and many others, will be followed by a practical part. During the second stage of the event, the trainees will check and expand their knowledge, skills and capabilities through practice. The event will last till 26 July.